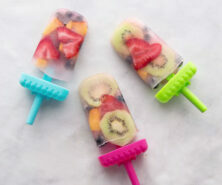 We’re always looking for fun ways to get picky eaters to eat their food! 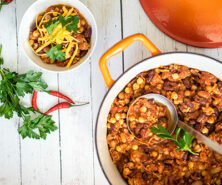 And if you’re a busy mom or dad, then fast and easy lunch and dinner recipes are a must! How about if we combined fun winter-themed food with easy? That’s where this English muffin pizza comes in. Not only are these easy to whip up for lunch or dinner, kids will love them! 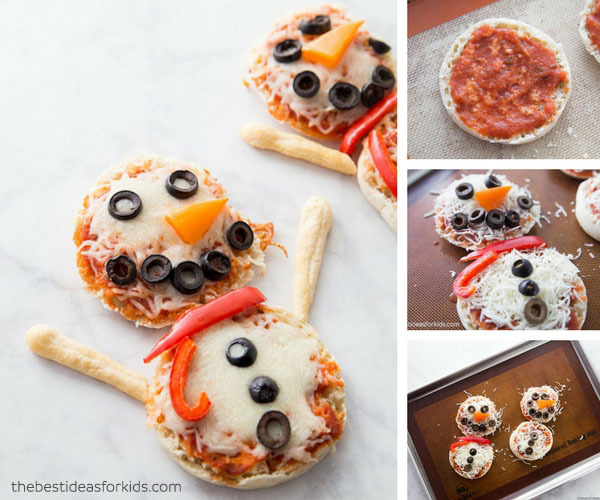 And you can make them extra special in the winter by turning them into snowman pizzas too! Kids LOVE pizza. Actually I think pizza may be a household favorite in our house. We like to make large pizzas with fresh dough but that can be time consuming on busy days. 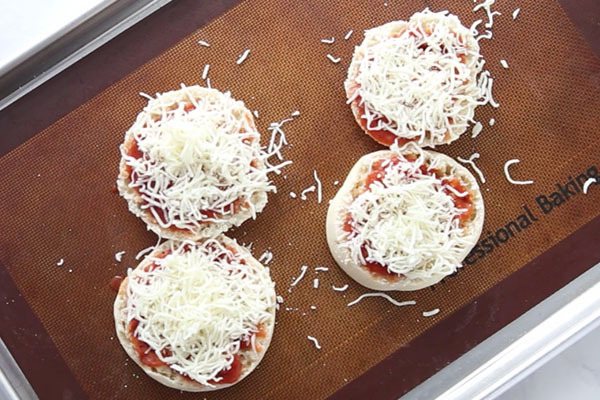 Making pizza on English muffins is quick and easy! Of course you can substitute the English muffins for pizza dough or naan bread too. 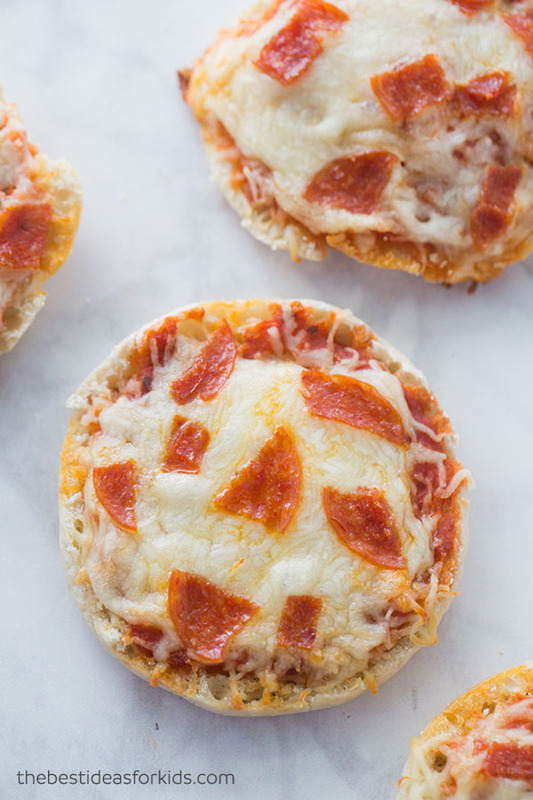 Want to turn your English muffin pizza into a snowman pizza? We’ll show you how! 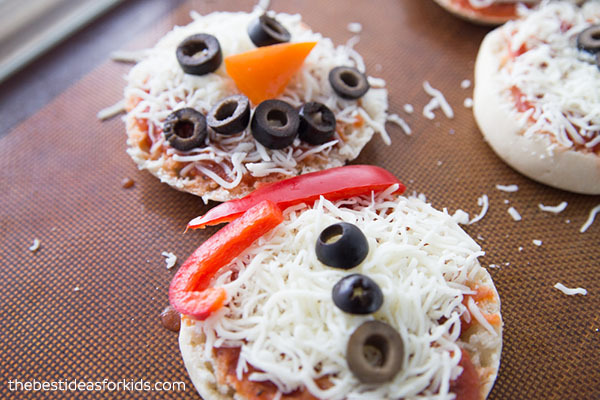 – Pizza toppings – if making the snowman pizzas we used black olives, orange and red peppers and bread sticks. Don’t forget pepperoni if you’d like to make a regular pepperoni pizza. 1. Preheat oven to 350 degrees Fahrenheit. 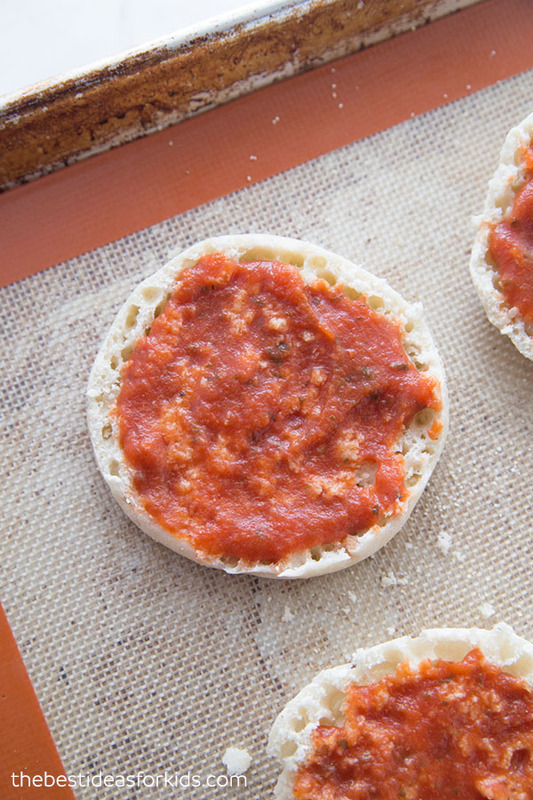 Break open your English muffin and then add your pizza sauce. 2. 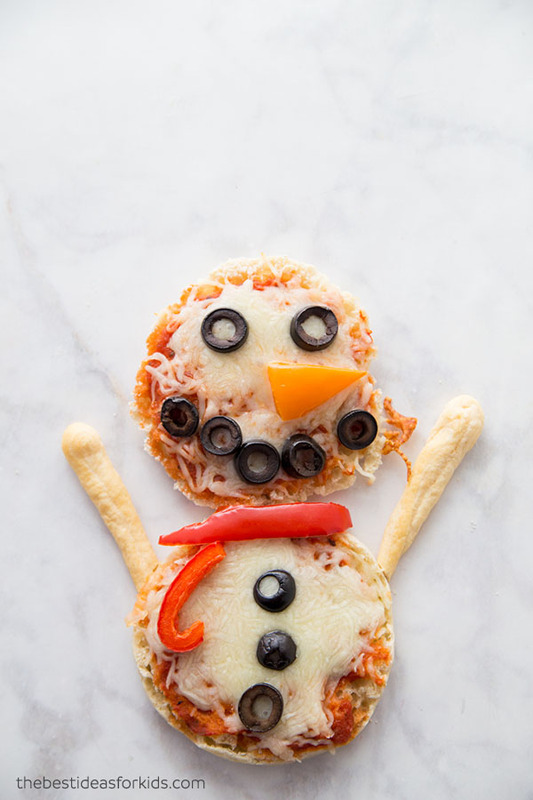 Top with your choice of cheese – we like to use mozzarella especially if you’re making a snowman pizza since you want your snowman to be white! 3. Now add your toppings or snowman facial features! We used black olives for the eyes and mouth. An orange pepper for the nose. Red peppers for the scarf and bread sticks for the arms. We cooked our pizzas in the oven, however you can cook them in a toaster oven, or microwave too! 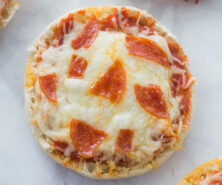 English Muffin Pizza in Oven: Preheat Oven to 350 degrees. Place in Oven for 10-15 minutes until cheese is melted and not too brown so the cheese stays white. Or if you like your cheese cooked more, leave in for a few minutes longer. 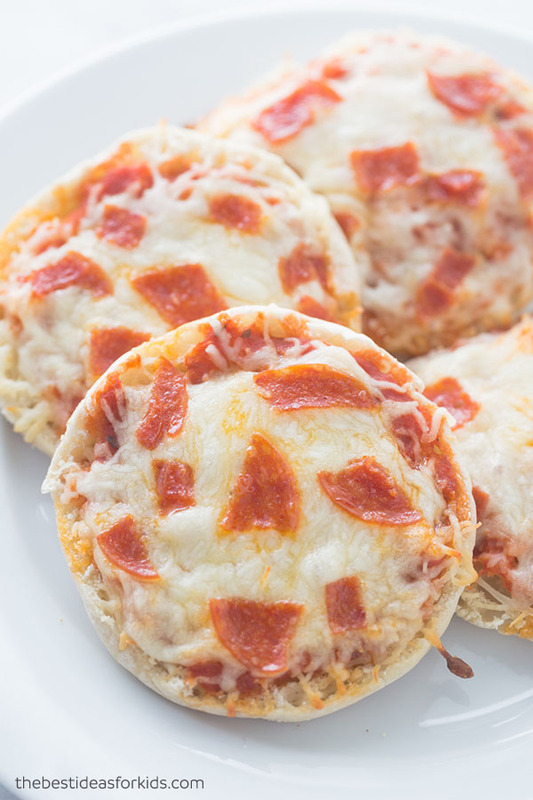 English Muffin Pizza in Toaster Oven: Preheat Oven to 350 degrees. Place in Toaster Oven for 8-10 minutes until cheese is melted and not too brown so the cheese stays white. 2. Then add your pizza sauce and cheese. 3. Put in the microwave on a low setting to melt the cheese. Watch carefully and start with only 10-15 seconds at a time. Microwave cooking time can vary. 4. Add your toppings after your cheese is melted. You won’t be able to cook your toppings but you can use precooked pepperoni to add on top. Separate your English Muffin and then add your pizza sauce. 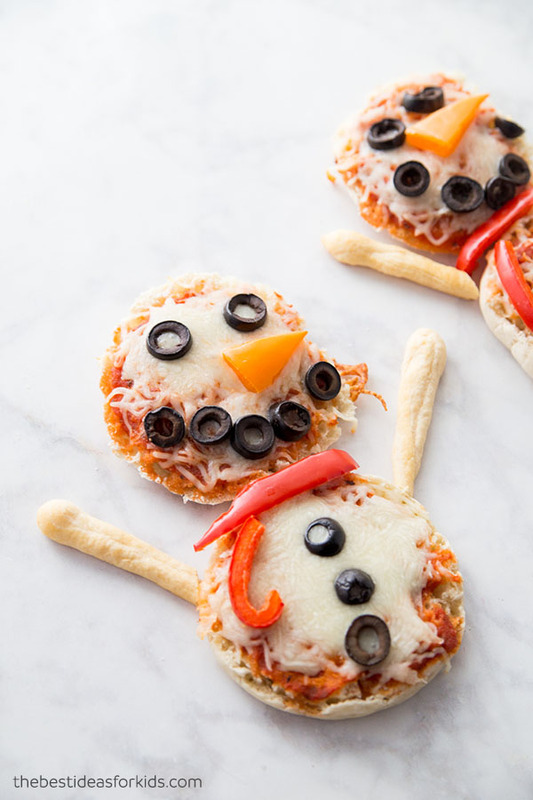 Top with your choice of cheese - we like to use mozzarella especially if you're making a snowman pizza since you want your snowman to be white! 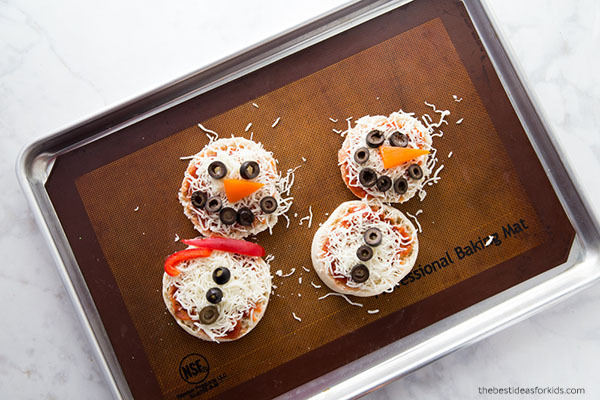 Now add your toppings or snowman facial features! We used black olives for the eyes and mouth. An orange pepper for the nose. Red peppers for the scarf and bread sticks for the arms. Place in Oven for 10-15 minutes until cheese is melted and not too brown so the cheese stays white. Or if you like your cheese cooked more, leave in for a few minutes longer. Want more fun food ideas? 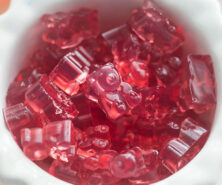 See these other fun winter-themed food ideas for kids! 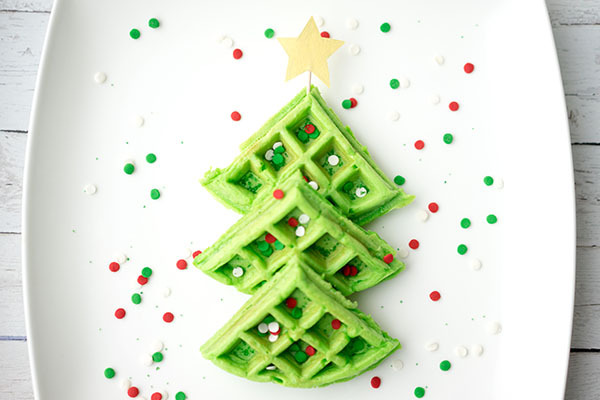 These Christmas Tree Waffles will make Christmas morning extra special! 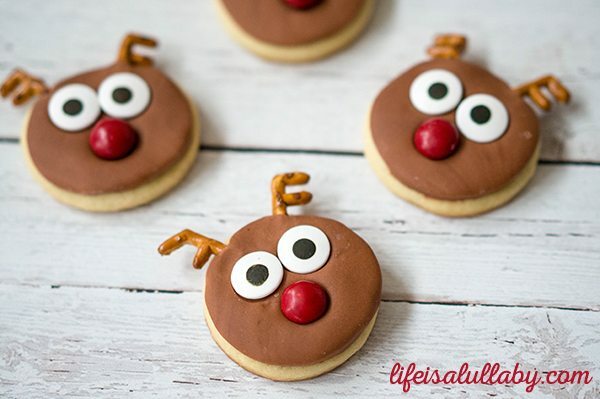 For a fun Christmas snack, these reindeer sugar cookies are really easy to make!